D.F. 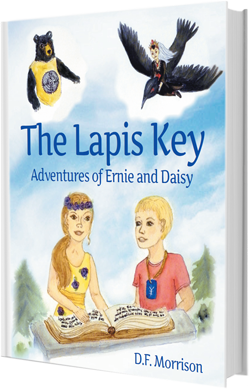 Morrison saw the story of The Lapis Key unfold before her one day while gardening at her home in Northern New Jersey, which she lovingly refers to as Fairyland. She knew these stories must be shared with all the children of the world. Her desire is to take the reader into their own Fairyland where lessons may be learned for all ages. Dorothy has earned her Bachelor of Arts Degree from Felician College and is a Usui Reiki Master. She is a member of the Society of Children’s Book Writers and Illustrators. If you would like to contact Dorothy, you may email her at dorothy@dfmorrison.com. © Copyright 2013 D. F. Morrison - All Rights Reserved.